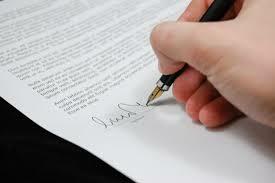 A valid insurance contract requires both an offer and an acceptance. A blank application provided to the potential insured is typically not considered an offer; but once the application is completed and returned to the insurer, it becomes an offer for an insurance contract. In order to have a valid oral contract of insurance, all requirements of an ordinary contract must be met, although some of those requirements may be implied. Those requirements include competent contracting parties, consideration, the existence of a subject matter, and an agreement on all essential elements of the contract. 1A COUCH ON INSURANCE §13:18 (3d ed 1995 & Supp 2011). (7) Amount of premium and time in which it is to be paid. Cody v. Insurance Co. of Oregon, 253 Or 587, 591–592, 454 P2d 859 (1969) (evidence existed of all essential elements of oral contract of insurance); Bird v. Central Mfrs. Mut. Ins. Co., 168 Or 1, 7–8, 120 P2d 753 (1942) (meeting of minds occurred between parties on all essential elements of oral contract despite fact that written policy, delivered after plaintiff‘s loss, contained terms not agreed to by plaintiff); Cleveland Oil & Paint Mfg. Co. v. Norwich Union Fire Ins. Soc., 34 Or 228, 233, 55 P 435 (1898) (no contract existed when evidence failed to show duration of insurance issued by insurer on similar risks); Rodgers Ins. Agency, Inc. v. Andersen Machinery, 211 Or 459, 316 P2d 497 (1957) (agent was not liable for failing to procure insurance when testimony did not establish agreement on amount of the indemnity, duration of risk, or premium to be paid). Some terms of an oral contract of insurance may be supplied by implication as long as those terms are readily inferable from a prior course of dealing or from established insurance business standards. The court presumes that the parties contemplated such terms, conditions, and limitations found in policies issued to cover similar risks or in policies used by the parties in their past dealings. A potential insured does not have to prove all the essential elements of a contract when only claiming that an oral contract to procure insurance existed, as opposed to an actual oral contract of insurance. Hamacher, 222 Or at 348–349; see also Harris v. Albrecht, 86 P3d 728 (Utah 2004) (detailed discussion of Hamacher distinction).